Since 1993 Discoverer® has continued to produce only the highest quality products, with our Core Blades this is no exception. 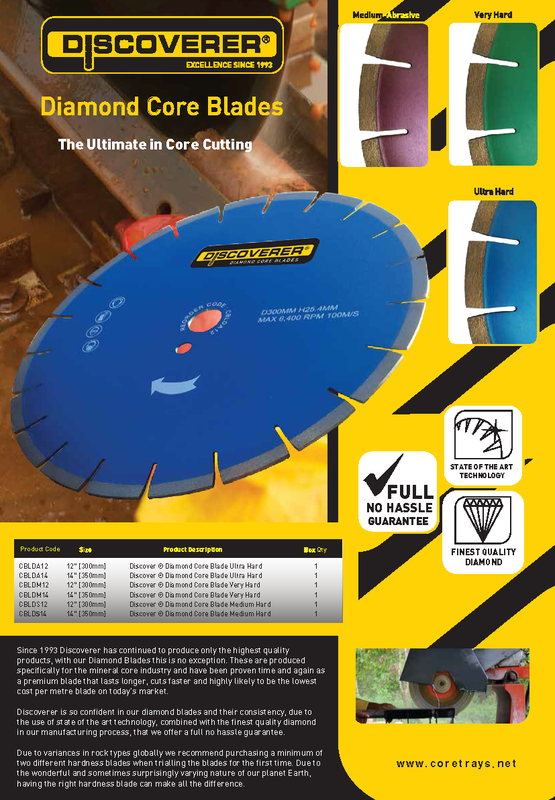 These are produced specifically for the mineral core industry and have been proven time and again as a premium blade that lasts longer, cuts faster and it is highly likely they are the lowest cost per metre blade on today’s market. 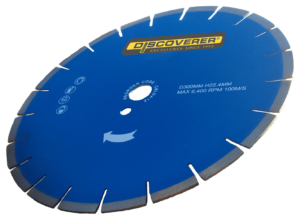 Discoverer® is so confident in our diamond blades and their consistency, due to the use of state of the art technology, combined with the finest quality diamond in our manufacturing process, that we offer a full no hassle guarantee.